We speak today of the dire need for compassion from the human race for each other. In the coming days various disasters will require the companionate nature of the human race to break forward and help these less fortunate than themselves. We will not go into detail of the coming events but surface to say they will be on all boarders and in all forms and will test you to the very core of your being wither as a viewer or a participant. Know that we do not do this lightly but that you are required to go through these experiences to ensure the rising of the ape from the single celled being to the angel. You are the chosen ones who have stepped forward to help humanity take the leap that has been foretold since the beginning of linear time and man could speak. You are the ones today called Light workers built were once known as the Shinning ones, or Beings of light, for names change but intension does not. Know we call you forward to stand in your power and light now so that the world can become a better place against the onslaught of darkness that will ensure in the coming days for it has awakened to a point where it wishes to see if you are up for the challenge. We know that in the core of your being resides a knowing that will guide you to the best answers as these days proceed and that you know yourselves that the darkness is an illusion. That the light always prevails, but in the moment of darkness enveloping you it feels as if it is not so. Shine you light and allow others to be lighted by it. Allow the burning embers of your very soul ignite with the new fuel of the Divine calling your name and sending forth its tree of life for you to use as a means to an end. Do not imagine that this fuel will run out wither for it to is eternal and will be there and generate until the end of days. Know that you are the wayshowers, the waytakers and the pathfinders of this arising world and those who are lost in the darkness need your light to find their way to the light and their own. For this will be the answers in the days ahead. That light begets light and darkness gathers together to shut out the light. Know the wall of darkness is an illusion, as has been said before, but also that the darkness will always make you believe that you will never again see or feel the light. But know that night follows day and darkness follows light, and vice versa. You are the light believe this and show others the way. You are the carriers of the light of the Divine believe this and show others the way. Believe you are more than you are and you will become that which you have always been. Today we wish to speak of the incoming celestial bombardment that is due over the coming days. Please be not alarmed as this is all in accord with the highest good of humanity and the progress of your race in the coming months and millennia. This bombardment is designed to weed out those who have chosen to use the third dimensional transit of the current earth shift as a means of embodiment to try out being in a third dimensional body in readiness for their reincarnation back into other forms in another solar system. This is no longer viable for the progression of the Earth and has to be addressed in a drastic fashion to ensure those who are working with the Gaia energy are less saturated by this low level interference. Therefore we ask you not to be worried when many beings are swept away, as it were, by the coming energies and earth shifts being planned. However, we do ask that the earth healing groups that have been set up and are in motion so to speak continue their work in the coming years to prevent the over exuberance of the Earth Mother and her clearing process. She is of the mind that things need to shift exponentially while we feel that the earth plane needs a few tweaks here and there. In her exuberance she is affecting the gravitational pull of the planet and causing asteroids of great magnitude to be pulled towards your earth plane. We ask that your group centre on repelling these boarder breakers and send them safely into the Sun or other areas of your solar system to be dealt with as appropriate for we still have much work for your incarnated selves to do. 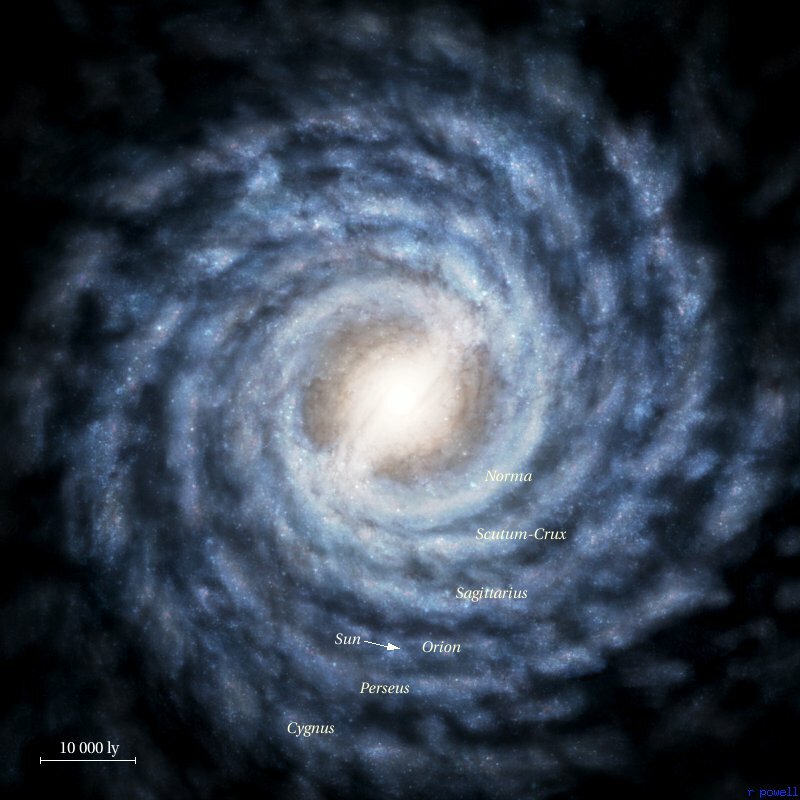 Another challenge to be faced is the solar energies due to erupt and the incoming solar storm from the nexus energy embedded in the centre of the galaxy you call the milky way. This black hole has erupted under the guidance of forces that wish for their agenda to be followed in fear rather than the light and benevolence that this messenger is the forerunner of. Please note that you have the power and the tools to avert this energy surge by causing the intensification of the crystal grid within the planet and the energetic grid of the external aura of the planet. The one known as Gaia is fighting with her third dimensional self to blend and overturn its current awaking thought that the human condition is a parasite rather than the awaking of beings that are a part of the greater plan of the cosmos. Please be assured that your efforts of expulsion of said anti-matter will be carried out providing you carry out the group dynamics you have already set up as earth healers and allow the message of your higher selves to guide you in what other avenues need to be pursued as to tools and energetic forms to be used to dispel this new carpet of entrenchment approaching your planet. We the Metatron ask that you look to your hearts for the clearing of energetic fears that will prevent you from carrying out these wishes. You are strong enough to dispel these challenges and you are strong enough to do what we ask of you. Know that the energetic forces of Darkness are interfering with your normal thought waves via the current Gemini Mercury retrograde to enhance their ability to dissuade you form acting and being a part of the solution and instead trying to make you a part of the problem. We can only do so much and require your intensions of repelling the interference and danger from the outside interlopers to allow us to do the work that needs to be done as part of the energetic bridge being constructed between all dimensions so that the beings of light can intercede in a stronger fashion than in the past. We the Seraphim request that you be part of the team of light also and do not allow the wow factor of the collective fear consciousness to stop you from acting on our behalf and become a part of the solution. We ask all Lightworkers both awake and in situ to awake to this message and know that we call on your to save the very world you feel is to full of darkness to save. We know it has been a hard few months and the darkness often feels as if it is winning, but know that this is an illusion presented by them to make you weaker in your resolve. We ask that you gird your loins and follow through with that witch you have agreed to do. In your sleep state tonight we will awaken a knowledge in your of who you truly are and what you have agreed to incarnate for. The time has come for this great reveal and we cannot hold it off any longer. Be prepared and know it is in accord with all highest good. We wish to speak of the definition of a fallen angel as we understand it and not the version that the church is peddling. For peddling is the word. For they use the fear of monetary loss to integrate ideas that are not conducive to the running of the planet’s energy or your own. When an angel falls it is due to the need for a certain energy to be embodied on the Earth at a set time period to help with a time of ascension into another dimension. This process has been carried out for millennia on this planet and for many more, whereas on other planets they appear and disappear as the embodiment of the energies being worked with do not need to be carried out. Many great angels have volunteered to carry out this process. In your films about Archangel Michael we would say this is the closest definition of what happens when one choses to fall. In reality the faller decides to embody by lowering their vibration as much as they can to reach the Earth plane of the third dimension. They then create layers of themselves of lower vibrations so that finally they can be embodied in the natural birth cycle of humanity. The other definition is that of the darkness trying to ensure that its powers are seen as infinite and that it too can cause great change through its embodied energies. However, for them it takes great energy to go against the natural energies of a planet and being that is in the flow of ascension. Therefore many will choose to be walk-ins, or attach to willing human beings who believe they are supporting beings of light, and once they realise it is otherwise look to those who can remove them. Unfortunately often the original soul is then used as a means of battery power to sustain this being so that it can go about its business until they have drained the person’s physical form causing major illness. However, if they are of a certain vibration they too can embody in the same way those of a spiritual vibration can, but cannot awaken quickly unless they are placed in a certain vibration from the start. Know that the being used is not then trapped in a circle of hell, as is expected, but are sent to an appropriate holding place where their energies are realigned to ensure the being is recalibrated so that it can join the pathway to the light again, a hiatus so to speak due to a choice that led to the darkness being allowed to tip the balance of light and dark for a short time. So returning to the point of embodiment. Due to the being now sitting at a level of vibration that is very different to their original form they are placed into causes them to have to take the pathway of ascension at a fast track pace to return to their higher vibrational forms so that they can stay embodied, and filter their energy into the world in a form that humanity at present can assimilate the energy easily no matter what level of vibration they are working with. This is why as these beings become more themselves those around them fall away, as they cannot deal with the energy of the being that is now emerging, as the being is vibrating at a higher level and becoming less solid as far as the human race at present is. These beings may start out as an ordinary person, but this will change as they meld with their higher form and become who they truly are. Thus happened with the Lord Jesus, Buddha, the Dali Lama and many others. They must take this path of transition to allow the physical body to alter to a vibration they have agreed to become rather than put it and the person bringing them into the world under a physical strain that would prevent them from moving on to their higher form. Many ‘people’ who have chosen this path will face the pathway of dissention where their friends and family, and even people they have grown up with, will question who they have now become. This is why certain people in history do not bear others who do not recognise them ill, as they do not understand this process due to their lack of knowledge or understanding. This path is a lonely one until the being meets with its compatriots who have been sent into this world as a support system to enable the being to complete their mission of aiding with the ascension of the planet they are assigned to. We would like to explain what the many facets required to be dealt with in the case of preparing a planet for ascension. Where a being is assigned to raise the awareness of the human race, in your case, they will be expected to be a part of the lifestyle of those beings to aid with their changing their vibration and changing their view and actions towards the planet involved. In most cases identifying the living being that has volunteered to raise the vibration of the planet into the next dimension and change with a being that will be their long term guardian of that planet until the next period of ascension arises. Those beings that help with the planets ascension have a far different role for they will be the ones who will interact on various levels to ensure the human race and the planet are best served as a full interaction rather than as a separate group. All interactions will require all participants to engage including indigenous beings and any other life form that considers itself to be a part of the planet ascending. This is a role of great diplomacy but also of great power and compassion for at some point they will have to help with the choice of who stays and who ascends this time around. These are often also under the auspices of the Angel of Death of that planet. The final role is the most harrowing of all for they must deal with the bombardment of energies from all dimensions and all systems in the Universe that are trying to stop the planet ascending and joining their compatriots. These beings have volunteered to leave the presence of the Divine and enter this realm to shield the ascending planet in whichever form best serves the planet involved. This can be in the form of a Universal energy or as a number of physical beings to ensure that there is a physical anchoring of the energies of protection in the planet as well as around it. 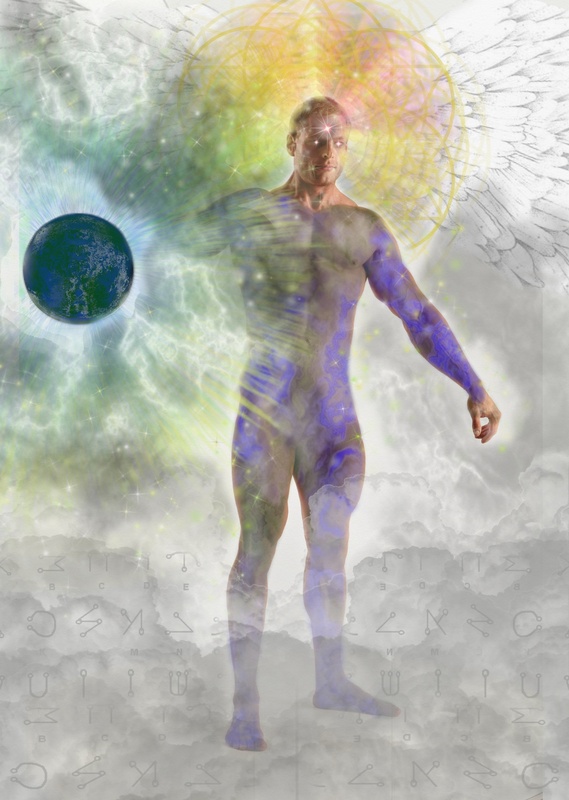 Beings who follow this path are of often under the tutelage and guidance of the Archangel Michael and Metatron due to the need for their interaction with all dimensions and protection against beings of dimensions that many humans have never experienced, even on their home planet. In the coming days many energies will be gathering in various points on the planet due to their points being saturated with dark energies or radioactive vibrations caused by natural disasters. Know that all beings who work in energy clearing groups are asked to clear all areas involved of these energies. The following visualisation will help those beings who are being called forward to help with these pollutants to deal with them in a manner that has not been seen before on this planet. Feel the energies of the Starlight angel drop from the sky and protect your with a cloak of starlight that fills your whole being with stardust. Once filled see your roots dropping down through the many layers of the earth taking with them the starlight then anchoring this energy into the crystalline centre of the earth. See this energy mixing and mingling with the energy of the earth and spreading out through all the layers of the earth so that it fills every space in the planet until it glows with starlight. Then see this starlight pulled to points around the earth that are known to be filled will dark and discordant energies and see these areas become saturated with this starlight until they become a solid block of glittering colour. See the Sun change its hue to that of deep amethyst. Then see a large vortex appear over the earth whose tail starts in the centre of that solid glittering mass and sends it energy out into the sun where it will be transmuted by the Universal violet flame that has been created by the Universal beings of this Universe to combat dark destroying physical energy such as radiation. As you see this energy sucked out see the Archangel Zadkiel hit a staff off golden light into the space where the starlight is drawing out the dark energy and fill the emptying space with rainbow colours of all the rays visible to the human eye. Know that this energy will transform all it comes into contact into health and vitality and transform the DNA of all beings and energies that come into contact with it. As you return to your space feel this energy fill your body as well to ensure you are cleared of any energetic residue. Then come back into your body, back into your space. Ground yourself allowing any extra energies to flow away into the earth and as you close your chakras leaving you with only the energy you need. Be well. Be one. Be light. We are the Elohim. Despite the many disasters, as you call them, we are causing the energies displaced to be renewed and regenerated so that the Earth Mother can clear herself of all that has built up from the times of mankind. Those of you who are Lightworkers are feeling as if you are in a vortex of energy. Know that this is the process we need you to be a part of so that our energies can be injected into the earth and used to raise the vibration back to as it was before these events happened. Know to that many groups around the world are aiding with the moving on of souls to the Light and helping those families of the passed to move forward with their lives and centre on the events at hand. We do not mean to make this sound unemotional but when a disaster strikes such as this the participant need to centre on the event and needs of the issues at hand and not fall into the energies of sorrow and remorse. There is always time for these energies to be dealt with and processed with our help and the help of others who can always make time for this process one the earthy events have been dealt with and the body is safe again. However, we ask now that the world and its beings centre on the sorting out of the worlds of the living and how they can be catered for in the coming months. For as with all emotional losses and events the people who are left behind in the wave of the physical aftermath are those that need caring for. As the Master said ‘Leave the dead to the dead and the living to the living’ and in this case we ask that you seek to support all involved with this disaster and allow them to be helped to understand that this event has happened and now they must move forward physically into another place so that they can be safe and live their lives in another way. When countries are devastated by disaster and war it is often due to energies that the people have refused to deplete or address. Many chances are given by the unseen world for them to dissolve and deal with these energies but many fail to do so as they prefer to stick their heads in the proverbial sand. This cannot continue for the earth Mother is awakening and as a boil needs to be lanced those among you with the capabilities must release the energies of the planet so that these disasters are reduced in magnitude. This was a warning that the work of release for all beings to begin in earnest. That the planet needs to release the pent up energies she has held for so long due to the practice of sending energy into the Earth. Those who are carrying out this work are often Warriors of Light who have incarnated at this time to help with this dissipation and groups that wish to learn how to do this work for help with their planet and its future changes when they return home. Know that this work cannot be carried out by those who are of a gentle nature but by the warrior spirit of the unseen world. 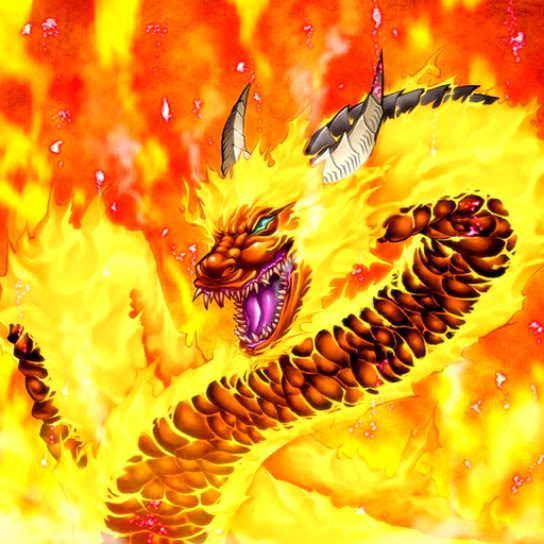 They are the holders of the flames and light of the Divine that pierces into the flesh of the earth and lances the infected area to allow the release of the infection of energy caused by the practice of sending negative and dark released energies into her. Thought this was once a relevant practice due to the healing flames of the Magdalene, Violet and threefold flames not being available to mankind that time is passed and those among you who are still using this method need to upgrade your skills with those who possess the ability to initiate you in these flames. Ones received these flames can be used to clear the escaping energy and transmute it into ins polar opposite allowing more light to be taken in by the Earth Mother when groups send the Divine energy through themselves and anchor them into the earth. Prevention is better than cure with the shifting surface of the earth. Realise at the right time prevents greater ripples and explosions down the line. This of you who work with the releasing of spirit we ask that you ensure you are not overworking yourself to aid those who have passed, but ensure you pace yourself and allow the spirits to be released at set times during the day when you would normally work. This will allow your body to understand that this is a new area of your work and you will be prepared for it rather than leaping in when others are calling for help. For as you deal with physical problems so must you deal with spirit. For it is the same just different energies in their manifestation. So my dear ones be rested, be sensible, and know that you are God. Many of you will be facing challenges that push your buttons. From people who invade your space to those who believe they can tell you how to live our life. From physical threats to emotional aggression, know that in all these events the Elohim are with you always guiding always watching always protecting. For you are now entering a time and space that those who will not change will be left behind and those who cannot change will be wiped from the Earth. Do not judge us harshly for these beings have been warned of this time by signs and portents they have chosen to ignore and will be given one final chance this year to change their ways. To have a final fling as it were to ensure they are getting the message. For next year the work begins in earnest. The beings of light will begin to drawn close and those who are unable to accept their present will be set to the side as it were and asked by their higher self to leave this plane and go to another. Know that those of you who feel you are unable to keep the light within your being will be shown that you are always of the light. You have merely covered it with the smog of the world. Therefore hear us as we tell you how to clear this smog and move forward into the light removing all obstacles and lower beings from your light. Breathe the air around you and feel the consistency of it. 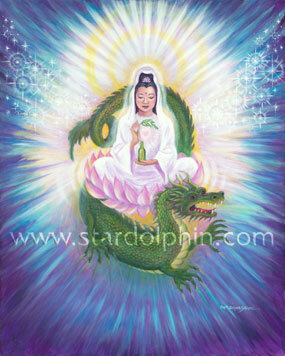 Within it sits the Divine energy of cleansing and clearing. Allow your outbreath to take away all the stress that has accumulated within you due to others action s and know that you are repelling any further interference by taking in this cleansing breath from now on. Keep repeating this visualisation until you feel your energy or mood shift into a light more joyful space and feel our wings around you. Feel us transmuting the energies around and within you. Feel us taking away the stagnation that has been holding you back. Feel the energy of the earth raising your vibration as she raises you. Know you are a being of light and have the breath of God flowing through your nostrils and that those around you who are of a lower nature have failed to allow theirs to rise above a certain level of engagement. 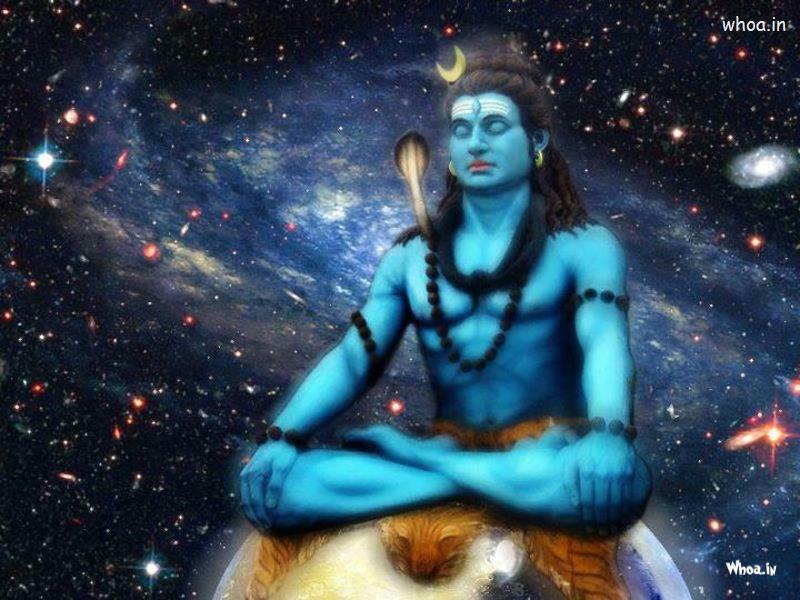 Breathe again and see them wrapped in the energy of the Divine and see how they react. Know that as they react they will either stay and do the work or go and leave your energy space. Let them take with them what is theirs and take back what is yours. Know that all is as it was before you met in whichever lifetime this process started and wish them well. Breathe again and see your light grow and join with the Divines light. See the Shekinah’s energy flow around you like a mist and clear what is left of the residue. Breath one last time and allow the earth mother to pull you into her endless arms and cradle you as she does all her children. Be at peace. Know all is in accord with the highest good and let the Divine plan play out. We will tell you what needs to be done when the time is right by messages and portents you will not be able to ignore. We are the Elohim. Be well. Do not be fooled by the date that we are not speaking to you on serious matters that will affect the human race for years to come. The current energies bombarding your earth are designed to put off the great energetic work that has been completed by so many of you and will continue to be completed by you over the next few years. Do not allow the excessive energies to put you into a state of fear for those of you who have done the work clearing and centring yourselves in the Divine light will be feeling as if the world is closing in on you and in reaction will be raising you energies to clear the bombardment around you causing various hyperactivity symptoms. Drink water and ground in the fifth dimension of Gaia’s to relieve these symptoms as this will allow your body to process the excessive generation of energies that you are required to allow while this bombardment occurs. Know that this will not be alleviated soon and many of you will still be unable to sleep properly as your body goes through the tri state sleep or awakens you in a state of hyper awareness. This is a natural process to allow your physical and light body to interact so that one does not overload the other, or causes you to become mentally ill by the thoughts and images that will soon be presented in your minds. Know that these are not images that are set in stone, as all futures can be rewritten if enough people set their intension to removing the negativity from the worlds that is causing the disharmonious feeling in sensitive individuals bodies. Know that you as the forerunners of this energy shift have experienced this energy over and over on other planets in many other lives and though will feel out of sorts has a familiarity to it that you know can be combatted by allowing the flames and rays of the Divine to transmute and transform the energetic impulses of the bombardment you are not experiencing. The crystal grids of the planet is awakening more fully, and requires more individuals to step forward and help the pathways of the energy streams of her meridians to flow freely between the very synapses of the planet. Know that those of you who are energy workers and clear these pathways in human bodies you can as also use this ability to clear these pathways for the planet. Know that you are as strong as you imagine and more. For we would not call on those of a fearful nature to carry out these tasks, for this mission is too precious. You have the innate ability to stand where others fall and to press forward where others run away. We of the Angelic Accord know that you have worried for many years that when you are called upon to carry out the very task that you agreed in the other worlds that you would not be up to the task. Know this that you are. Know that your light is the very reason we chose you. Know that your abilities were why you were recruited for this mission. We the Beings of Light ask now that you stand strong and be with us. Know that you are not the forerunners anymore by the main task force that has hones its skills over eons and are now stepping forward to do battle with the forces that hope to destroy this planets chance of joining the others of the fifth dimension. Know that will be a target as your light will no longer be shielded, but that your protection will be part of the same light coming now from the Divine in all its glory. Know you are up to this task even through some days your mind says otherwise. 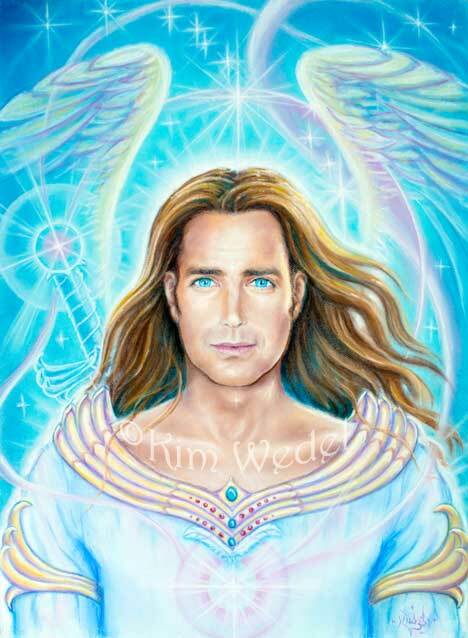 I am Archangel Michael your Commander. Today’s youth are lost in the darkness of the world of technology. Now we are not saying that these inventions do not have their place and their uses but many are now falling into the trap warned about by many great minds that saw this time coming. The world has become a mindless space of electrical interference and technobabble that is being used to drug the youth of today from their true pathway of living their lives. Let us explain. If a child is given a living flower and allowed to touch it they know what a living flower feels like and how it reacts in their hands, how it smells and how long it will last without water. That it is better to have the plant to care for rather than the decapitated version. When they care for an animal and connect emotionally to that creature and it is taken from them in one way or another the child is taught about loss, separation and the other many faceted emotions that come with this caring for another. This death and caring for another allows the child to experience what the deeper side of the death of an adult in their life is like. Some people never move from this stage for they are damaged by humanity in a way that animals comfort them and help them complete their time here. This is what animals have agreed to do so that humanity can move into the new wave as part of the ascension programme for this Earth. However, look now at what happens to the child who is fed synthetic versions of these experiences. Their brain does not develop properly and the electromagnetic pulses of the incoming emotional growth rays cause anguish and they shut down or leave. This is due to their lack of development in the world of emotions. This is because they have been taught to experience the world through a screen rather than the biomechanical machine that they have been given to experience this world. For children are already experiencing the world in the 3rd dimension through a number of synapses and electromechanical experiences that do not give the person a full experience of this dimension, and its energies. For you could perfect the human body until it was the most elaborate biomechanical electromagnetic machine possible and it would still not give the person embodied in it the full experience of the human condition. Only when they return to the Higher self and download the experiences do they experience what truly went on here. And if you do not fully engage you do not fully experience your life. Let us explain. If any part of the biomechanical system that is the human body breaks down the images and information being picked up through the sensory receptors of the skin do not give a true rendition of what is being experienced. This too can cause the person living their life in to shut down or not engage as fully as possible. This is when the person is classed as disable in some way, but true disability is not always what you see but what you do not see. For in a way human youth engaging with the world of illusion created by X-Box and Microsoft has become yet another layer for them to break through so that they can be a part of the whole. The One. The world is a place of illusion and you as the bard once said are merely players in a grand play. You are wiped of your previous memories, as has been told those on the spiritual path, so that you do not freak out or fall into despair over the past crimes that you committed. But let us bring you into a secret those crimes were your choice. Those crimes could have been avoided if you had listed to your emotions and connected to another being emotionally rather than as an object. Or as a mere part in your play that is your life. We would also like to address the issue of Atlantis as we cover the issue of memory loss given to you by the Divine. Atlantis, as with other disasters suffered by other inhabitants of locations, sects and religions, was a one off event that rippled through time and space because it was given power by those who caused it in one way or another. Beings are now coming forward who will be helping to remove such mass disaster memories engrained in the souls of humanity, and its race consciousness. But you have to ask yourself are you ready to let go? This will be the question to be answered by yourselves over the coming years as you speed towards the evolution of this planet, and yourselves, to enable your shift into the 4th dimension. However, you are not fully engaged or ready for this shift as many of you are still carrying, as some people call it, your story. You are carrying your pain, your burdens and you preconceptions, from a time that no longer exists. We could say drop the cross honey someone else needs the wood, or haven’t you dealt with this yet, as others have but then we would not be of the higher realms if we did. Instead we will tell you one of the easiest ways to clear this perceived karma, and know once you fully engage you will no longer need to spend your money on people who tell you it will take a long time to complete. It takes but a moment if you fully engage. It takes away all your pain from the past if you fully engage. It makes you a new person and link more fully with your higher self and your life path if you fully engage. Walk to a mirror (any size so long as you can see your eyes and face in it). Take three deep breaths grounding yourself into the earth through a great cable of roots between your legs. Look into your eyes and see an intelligent light looking back at you. This is the Divine spark you hold within you. Continue to look into your eyes and see the light grow in your eyes. In your mind’s eye see this light seeping into your heart and feel the warmth grow until you cannot feel the pain anymore. Say goodbye to your pain and embrace the light. Know that the pain you believed you we a part of and had caused the downfall of whatever nation or religion is now released from you into the Divine presence to be transmuted to light, peace and serenity. Feel this returned to you in this instance. Close your eyes and thank the Divine for this great gift. If you do not feel this has worked then you have not fully engaged and are still on the treadmill of guilt and self-destruction. Therefore try this exercise each month until you feel it has worked. We do not advise any more than this. You must also note that this will cause intense ripples and waves through your life that will almost cause a reset of you and your life path as the guilt blocks are removed and the flow of the Divine returns to you. There will be tears, there will be tantrums, there will be those who are unhappy you have left them behind. But if they wish to remain they must change, for as you gather speed you cannot have any baggage that will slow you down or you will over heat so to speak due to the drag being created in your spiritual self. Know that as a meteorite will disintegrate when it gets to hot so too will your energetic body of you try to speed forward with the wrong type of energy body causing you to vibrate in a exponential way that will make you feel as if you are going to collapse inwards on yourself. So do the work and reap the rewards.